Our Asheville location at 1836 Hendersonville Road in Gerber Village, the premiere shopping and dining destination in South Asheville, offers unrivaled convenience and unique special event options. And our innovative park design provides the most up-to-date activities and features. Sky Zone Asheville is committed to creating a diverse environment and will be a proud equal opportunity employer. All qualified applicants will receive consideration for employment without regard to race, color, religion, gender, gender identity or expression, sexual orientation, national origin, disability or age. Please apply using our online application. Reserve your Sky Zone Asheville party at least 2 months in advance, and you'll receive a 15% discount. This offer is good for the Mini Party, Super Jump Party, Supreme Air Party and Toddler Parties. 50% deposit required at time of booking. Discount only available when booking by phone. Elevate your Saturday night with SkyJam! SkyJam is the time to crank up the music and make the most of the park. Jump, fly, laugh, battle. Jump passes are only $15 for 120 Minutes and $11 for 60 Minutes. All jumpers, regardless of age, must have a valid waiver on file in order to jump. Waivers can be filled out either online or in-person the day of the jump. If the jumper is a minor, the waiver must be filled out and signed by the minor's parent or legal guardian. Waivers are good for one (1) year, subject to updates. All information, including date of birth, address, email address, and phone number must be valid. If you can walk, you can bounce! Our location has attractions that can fit anybody, no matter their age or physical activity level. We even have a separate Toddler Pit and Toddler Court for the little ones (5 and under)! All items, including jump tickets and concession items, are nonrefundable. Sky Zone Asheville prohibits outside food in the lobby due to health and safety concerns. However, we do have multiple water fountains and a fully-stocked Fuel Zone, which is completed with Dippin Dots, ICEEs, fresh popcorn, chips, candy, Powerade and water, and more! All jumpers are allowed to bring in outside drinks if they are in a resealable, spill-proof container such as a water bottle or travel mug. 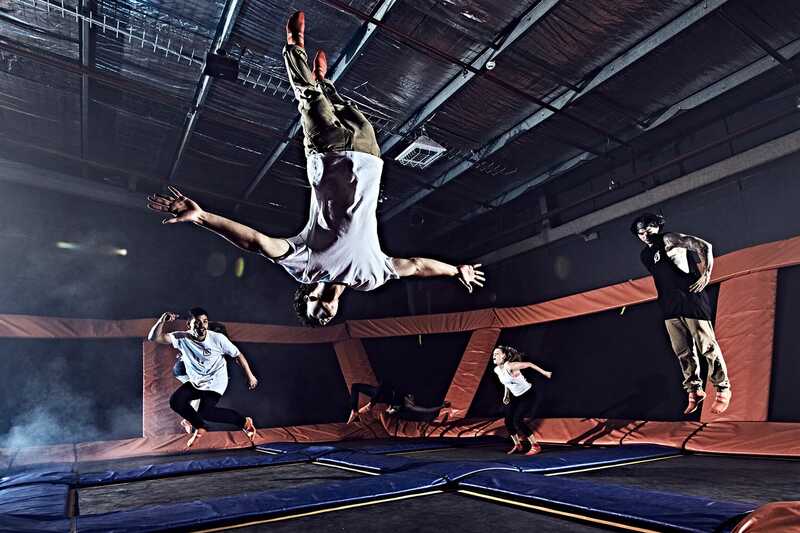 All jumpers are required to wear Sky Zone SkySocks. These can be purchased at Check In for $2 and can be reused on future visits. Socks from other trampoline parks are not allowed - we want you to match our colors! However, you are welcome to trade in socks from other parks for a free pair of SkySocks! Every U.S. Sky Zone is independently franchised, and we cannot honor Groupon offers for a different location. Also, please note that your Groupon must be redeemed in one visit. Our Facebook page is the best way to keep up to date on current offers and events. Additional offers can be found on the "Price and Promos" part of our website.